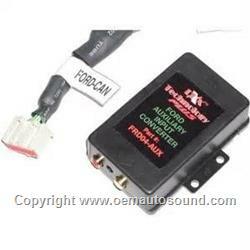 Does not disable the in dash CD-changer or any other functions on the Ford radio. 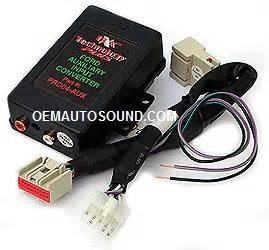 Not compatible if vehicle is equipped with both factory Rear Seat Entertainment system, or factory satellite, one needs to be unplug to use the aux input. Not compatible with factory RSE (Rear Seat Entertainment) present. Takes place of RSE. Connects to 16-pin connector at head unit. Interface is the new version Buy from an authorized PIE dealer.